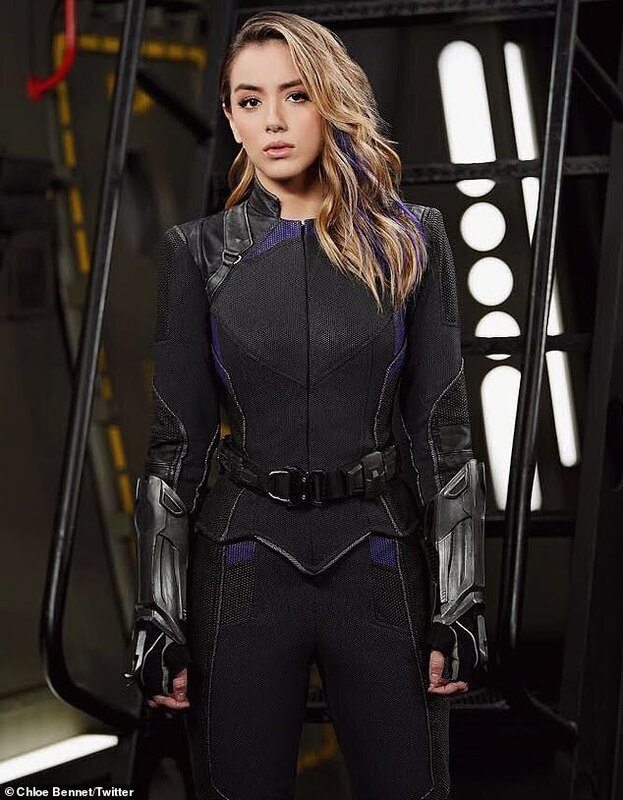 Chloe Bennet suited up to promote Agents Of SHIELD on Tuesday at a press event in Pasadena, California. The 26-year-old actress donned a tan suit with plunging neckline while attending the TCA Winter Press Tour 2019. The Chicago native completed her outfit with matching heels and accessorized with necklaces and a bracelet. Chloe had her ombre hair down with her curly golden blonde tips down around her shoulders. She was joined at the event by her co-stars Clark Gregg, 56, and Elizabeth Henstridge, 31. Chloe, Clark and Elizabeth have been with Agents Of SHIELD since it premiered on ABC in September 2013. Clark reprised his role of SHIELD agent Phil Coulson from the Marvel Cinematic Universe for the TV series and will appear in season six as a different character. 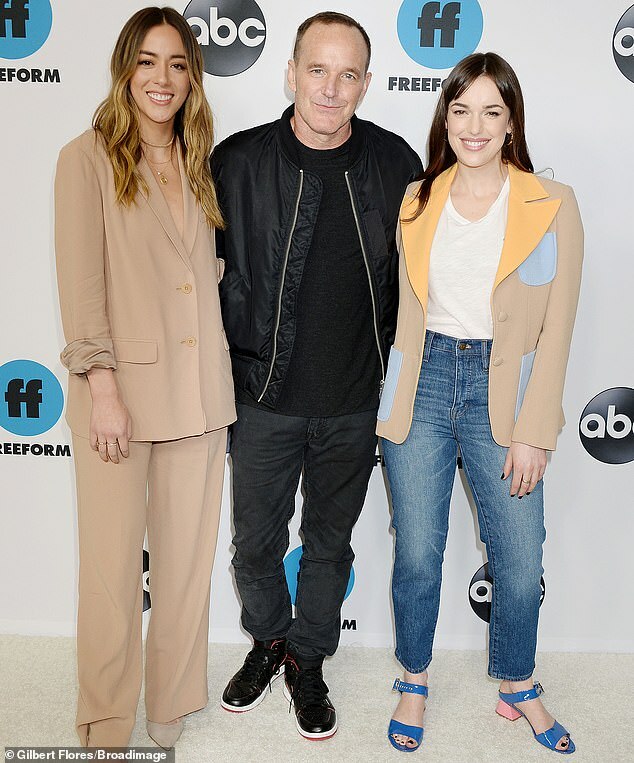 Sixth season: Chloe got together with co-stars Clark Gregg and Elizabeth Henstridge at the event. Chloe plays Inhuman hacktivist and SHIELD agent Daisy ‘Sky’ Johnson also known as her alter ego Quake. Quake has the ability to sense vibrations and can create earthquakes. Elizabeth on the series plays SHIELD biochemist Jemma Simmons. Character development: The Chicago native is shown in a 2013 season one promo still and in a 2015 still. The show was renewed in November 2018 for a seventh season ahead of its sixth season release. Season six of Agents Of SHIELD will premiere in July 2019 and will run for 13 episodes. The TV series is based on the fictional S.H.I.E.L.D. espionage agency created by the late Stan Lee and Jack Kirby in 1965 for Marvel Comics. Since 1984, the members of the TCA have voted for outstanding achievements in television. As professional consumers of the medium, TV critics are often the first to spot exemplary work in television. Time and again their choices have anticipated later honors from the Emmy and Peabody award panels. In 2002 the TCA began honoring the iconic figures in TV with its Heritage Award. The TCA Awards are held during the July press tour.